Exporter of a wide range of products which include v shape anchor, y shape anchor, refractory anchors, stainless steel anchors for shipping industries, refractory brick lining anchors and cement plant anchor. 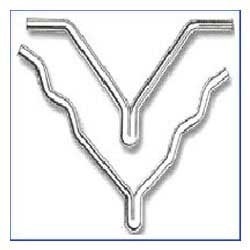 Sourced from renowned manufacturers, our range of V anchor is highly durable. These are made using stainless steel and are offered in forms such as v as per the requirements of the clients. Our range can be availed in various grades such as 304, 316, 310, 321 and 330. 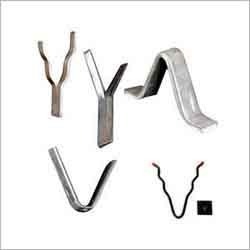 Sourced from renowned manufacturers, our range of Y shape anchor is highly durable. These are made using stainless steel and are offered in y shape as per the requirements of the clients. Our range can be availed in various grades such as 304, 316, 310, 321 and 330. 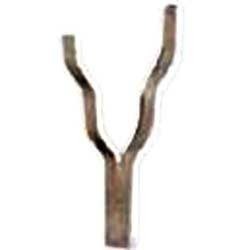 We offer a wide range of Flouch Refractory Anchors (V, Y, zig- zag etc. ) and stainless steel clamps. 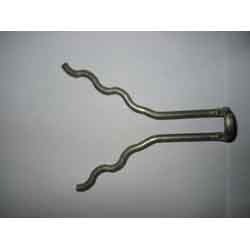 Besides these flouch refractory anchors, we also offer plates, hangers, hangers bolts, studs etc. These refractory anchors. Other materials are available in expended metal, hex steel grid and special grid. 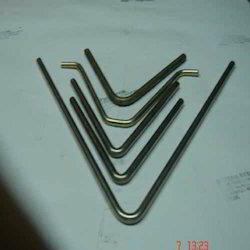 Range & Form V-shape, Y-shape and crook anchors but as per clients drawings and requirements stainless steel: Grades 304, 316, 310, 321,330 in addition to this, the products are also offered in carbon steel and alloy steel in standard grades and a thickness range of 3 mm to 12 mm. 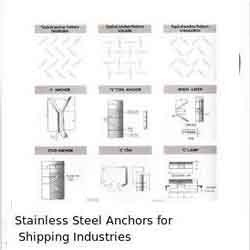 Looking for Stainless Steel & Brass Alloy Anchors ?